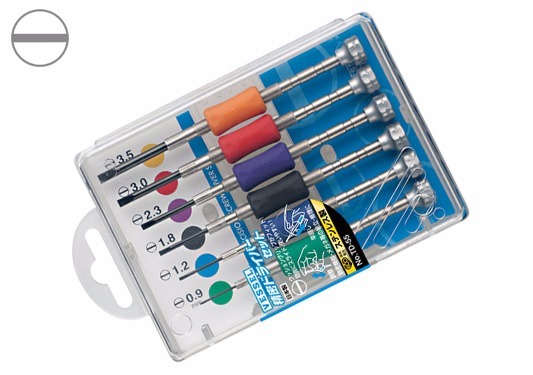 The TD-55 is a 6-piece precision jewelers screwdriver set that is outfitted with high-precision slotted tip screwdrivers, a swivel cap for fast turning, and a color-coded cushion grip for easy tip identification and comfort. Other features include a stainless steel main body and a convenient plastic storage case. Ideal for fastening and unfastening of miniature screws for electronic equipment, delicate repair and assembly of watches, radios, eye glasses, plastic models, and so much more.